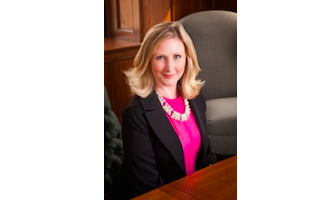 Our latest featured speaker is Lauriann Wright of Wright Kim Douglas ALC! Lauriann is an experienced probate litigator and estate planner who will speak at our Professional Fiduciaries: The Nuts and Bolts seminar in Los Angeles on March 9, 2018. Lauriann first spoke for us last year at the Probate Litigation seminar. Attendees praised her excellent insight, humor, and engaging presentation. Lauriann has been practicing all phases of probate law and litigation for the past 20 years. Her experience includes conservatorships, guardianships, trusts, and probate estates in Los Angeles, Orange and Riverside Counties. She was named a Southern California Super Lawyer in Trust and Estate Litigation for six consecutive years, from 2012 through 2018. In 2016, Best Lawyers listed Lauriann as one of “The Best Lawyers in America” in Litigation. National Advocates recently named Lauriann as a member of the Top 100 of Wills, Trust, and Estates Lawyers. This entry was posted in Featured Speakers and tagged Featured Speaker, fiduciary, fiduciary boot camp, lauriann wright, professional fiduciary.